The cover story of National Geographic Magazine’s [external link] February issue is an interesting culture-historical excursus on the social and ritual role of alcohol from early cultures to modern drinking habits, the technical processes of producing alcoholic beverages, and the challenges to actually track down and verify these in the archaeological record. Titled “Our 9,000-Year Love Affair With Booze” [external link], the text by author Andrew Curry (with photos by Brian Finke) follows the work of Martin Zarnkow for instance, a scientist at TUZ Munich’s Weihenstephan research center for brewing and food-grade. We also had the pleasure to work together with him when he was analysing a couple of samples coming from large stationary stone vessels at Göbekli Tepe. 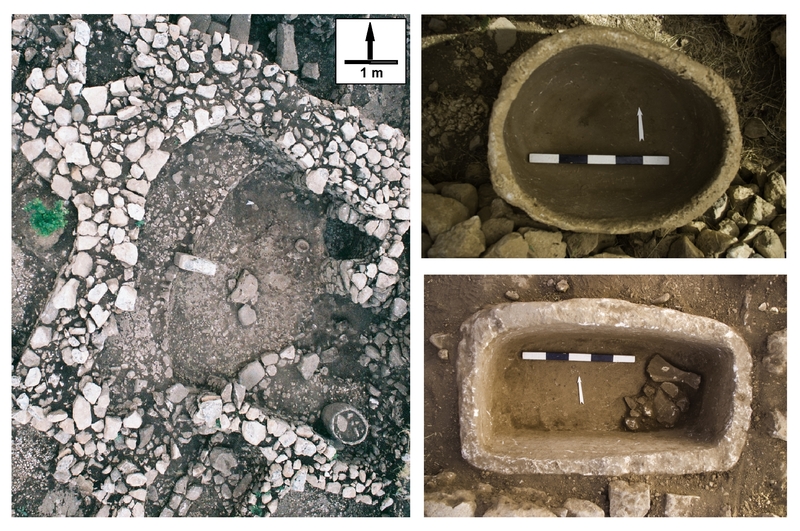 While still preliminary and inconclusive, these analyses initially hinted at the likely brewing – and consumption – of beer-like beverages in the context of large gatherings which seem to have taken place at Neolithic Göbekli Tepe (read more about this observation here). National Geographic’s article also features a short insight into this part of our research and puts it into a quite fascinating (pre-)historical context. Science lectures are a boring matter, right? Presenting research results is an as serious as dry thing, isn’t it? Or, wait – is it really? Inspired by the great success of the concept of Poetry Slams where poets read and recite their original creations, a couple of Science Slam events were initiated over the last years – prompting scientists to present their research to a wider audience in an -anything-but-boring way. Science communication 2.0, showing a broader audience how fascinating research actually can be and encouraging scientists to leave the ivory tower trying new ways of presenting research results. Alas, often focussing on natural sciences, humanities and in particular archaeology and ancient studies seemed a bit underrepresented in past Science Slams, so the Berliner Antike Kolleg [external link] together with the Excellence Cluster TOPOI [external link] thought it was about time for something new – an Antiquity Slam [external link]. 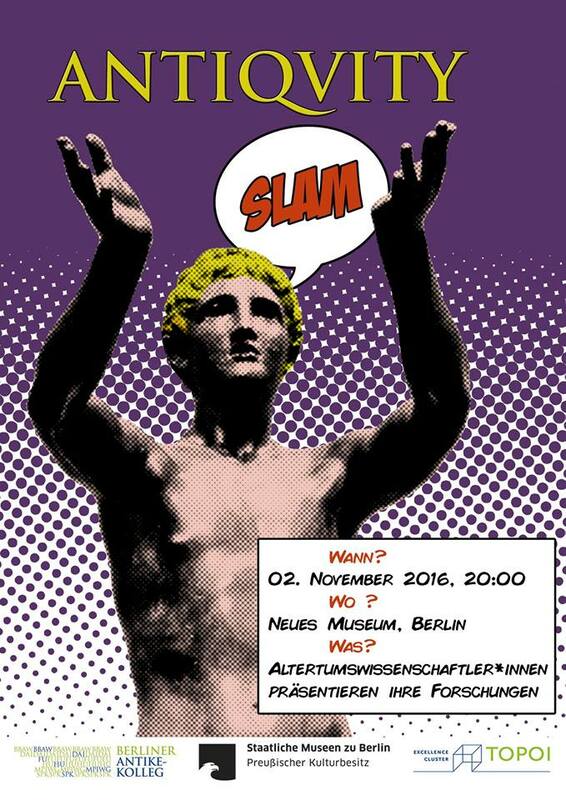 November 2nd 2016 six archaeologists, art historians, philosphers, and philologists are presenting current research questions and insights in short 10-minute-niblets right there at Berlin’s Neues Museum. Topics cover a chronological range from first sedentary societies to Roman Emperors and the Renaissance. The Göbekli Tepe research project is glad to shed a light on the earlier leg of this time-frame with a contribution by Jens Notroff on “Stone Age after-work parties”. The event will be held in German.